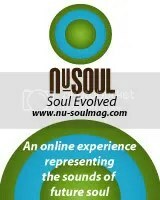 The 2008 International Soul Music Summit went down in Atlanta and Nu-Soul was there to experience it all. Not only was editor Norman Mayers in town to participate in two panel discussions on Media and Promotions, but Nu-Soul’s signature event Strictly Social hit the road for a special event in conjunction with the Summit. A breakout performances from newcomer Collette. This year's Summit was not without its various speedbumps, to be certain. Delayed times, cancelled shows, and the notable lack of any big names star showcases definitely prevented the summit from becoming as successful as it should have been. On the up side, the change in host hotels to the Renaissance was a good move as were the additions of various workshops for songwriting and poetry into the mix to break up some of the redundancy of the panels. But the true purpose of this event is the networking possibilities and the exposure of new artists, both of which the Summit provided plenty of. 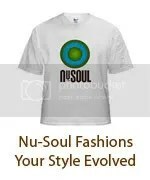 Nu-Soul’s main focus was the execution of our Strictly Social Atlanta Edition on the first night of the Summit. Despite some last minute shakeups with the lineup, everything came together perfectly as the stars aligned for six amazing performers to do their thing at the cozy Django. After a sharp set by LA’s DJ Destroyer the show got under way. Southern belle Collette started things off right with a breakout performance that had people buzzing. The night zipped along with top notch performances from Vice Lounge (with a dope freestyle session that turned into an open mic vibe), Chris Rob, Jon Bibbs, Wayna, and the man himself Big Brooklyn Red. The night was definitely a success and people are definitely talking about Nu-Soul and Strictly Social. There were plenty of other options to catch some rising stars over the course of the weekend. On Friday night a Hip-Hop Soul event with the likes of Nicolay and Black Spade took over Apache Cafe. The event later morphed into a full on jam session lead by Vinx. Saturday night found the team supporting an acoustic session at Verve with plenty of rising stars like LaSonya Gunter, Dain Harris, Rasheeda Wallace, Drea, and beatboxing dynamo Steve Wallace. As an added treat we have a pair of videos from the Strictly Social Atlanta event. We apologize since they are so dark but they sound great! So you can at least get a small taste of the music that was heard at this important annual event for the indie soul community. ~ by nusoulmagazine on September 17, 2008. Bloom Effect was in the house too!